Type of Stack: Premium Printed Cardstock Project Stack, 12"x12"
Fantastic project stack to give your home a warm, autumn touch. This and other Lia Griffith seasonal stacks are available now at Jo-Ann's Fabric and Craft stores. These warm colors are sure to keep the cozy setting in any home. Great fun to do this project with a friend, sibling, or child! 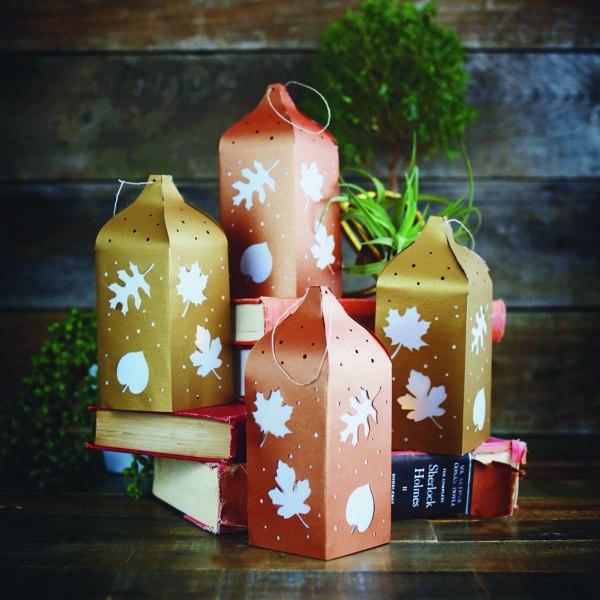 Hang these fun luminaries anywhere you wish!